Deborah Farone could have relied on her own subject-matter expertise to write the definitive self-help book on business development for law firms. 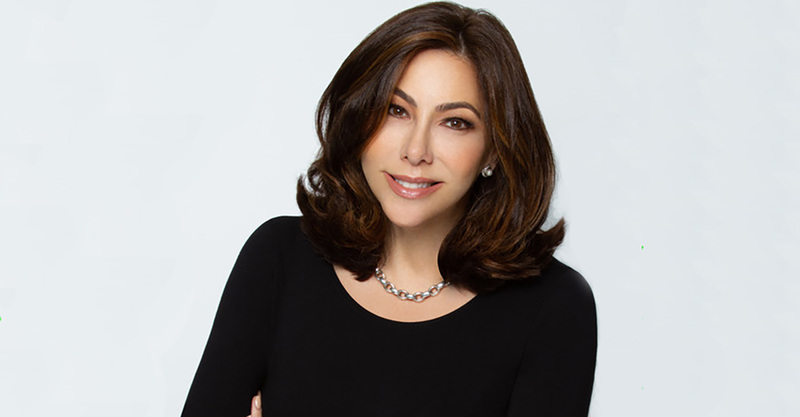 She spent two decades, after all, as chief marketing officer for two of the country’s largest practices, Cravath Swaine & Moore and Debevoise & Plimpton, before starting her own consulting business, Farone Advisors LLC. But while leveraging her own experience in strategy and fostering strong cultures would have given buyers of “Best Practices: Business Development and Marketing for Law Firms” their money’s worth, that tactic wouldn’t have provided the learning experience she wanted for herself. “I was aware that I might have a bias towards large firms, so I reached out to mid-size firms and firms leading the path in innovation,” says Farone, who interviewed managing partners, general counsel, technologists and other thought-leaders for the book. Lawdragon: That’s so true. How does that play out, both for corporate clients and for law firms? Deborah Farone: Clients can go to legal process outsourcers. They can supplement their own departments with deeper expertise. They can use their operations people to perform things that could never have been done before, using technology. So law firms face new challenges in the marketplace. It was an exciting time to talk about how they are responding to the use of innovation and how they’re responding to changes with their clients. LD: Does that apply to law firms across the board, up to and including the very elite law firms where you spent most of your career? DF: Every law firm is being affected by the changes in the profession, whether it’s a two-person shop or a multimillion-dollar legal practice with offices around the world. And the positive solutions I’ve seen from just my research are really two-fold as far as the firms go. Many firms are honing in on key practice areas. And they’re saying, “We are going to focus on one or two things and do that really, really well.” Those are firms like Gunderson Dettmer, which focuses solely on venture capital, and Wilkinson Walsh Eskovitz in Washington, D.C., which is solely focused on high-stakes litigation. So you see that as a major trend, that firms are focusing. The other solution is that there are many smart firms that are looking at innovative ways of doing things, whether it’s Orrick, having its Orrick Labs, where they’re putting money aside to invest in technology, or Allen & Overy, where they created something called MarginMatrix, which helped their clients apply technology to handle changes in the law that were going to impact their business. LD: The range of people and the number of experts that you spoke with for your book is mind-blowing. I wonder if you could talk a little bit about how you selected them. DF: I started by laying out what the main questions were that I wanted the book to answer and putting those together as chapters. And when I thought about those subject areas, I went to people who I knew or who would know people who were experts in that area. And I did open-ended interviews. Many of them were in person. Some were on the phone. Only a handful were done in writing. But it was a great way to find out what was really going on in different parts of the industry. I really wanted this to be an educational process for me. I wanted to learn about how other firms were adapting to change by using new strategies, training, coaching and innovation. A wonderful firm in New Jersey called Sherman Wells just launched a few years ago. They’ve taken a really interesting approach to how they involve associates within the client relationship. They are doing some things that I think are new and different that I might not see at one of the larger, more traditional firms. LD: The way you describe these developments in the book makes it accessible to a wide range of people, whether they are an attorney at one of the large international firms, legal marketing professionals themselves, or a lawyer at a small practice in Kansas City. You write in a way that applies fundamental lessons at a level that everyone can relate to. DF: I don’t think the answers to a lot of these questions are complex. As to how a lawyer gets business, it’s relationships. A very basic point of getting a piece of business is that the client has to like working with you. And they have to respect you. The tricky part is how you put that into practice. And they have to trust you. One of my favorite things that I heard while researching the book was when Jeffrey Klein, a wonderful labor and employment lawyer and the head of that litigation practice group at Weil Gotshal & Manges, said, “Marketing is muscle, and you need to practice and you need to use it and you need to exercise it in order to strengthen your ability.” And that’s why in my practice, I will tell lawyers who are not used to marketing, start by taking your partners to lunch, and start by taking an associate to lunch. And then, start by taking your law school classmate, and then a client and then another client and then a prospect. But start small, start with baby steps. I think that’s true whether you are at an enormous firm or you’re starting as a single practitioner. LD: For many lawyers, there’s a mysticism about marketing, right? And I think for a lot of marketing professionals, there’s a mysticism about lawyers. With this book, you bring the two together in a way where both sides benefit. DF: I think that’s such an important conversation for people to have. And that was one of the reasons I started a program with PLI, my publisher, called the Business Development All Stars. I wanted to have a program where we could hear from chairs, rainmakers and the CMOs from law firms. I really want to bring people together for that conversation. And the only way that a marketing person can really help a lawyer is if they understand their practice and if they understand what the lawyer’s concerns are and what the impediments are, whether they’re real or imagined. On the other hand, lawyers need to know how to work with marketers. LD: From a practical perspective, let’s say that you are a marketing professional at a mid-level firm. It’s not the largest, but it’s one of the firms that day in, day out, handles incredibly important legal matters and is simultaneously trying to maintain its niche and expand its client base. What do you do to improve your game? DF: You have to start by thoroughly understanding your firm, and that means spending time with all of the partners, getting to know them, getting a clear picture of what the firm’s strengths and weaknesses are, and getting firm leadership to buy into a strategy. I’d love to see every major law firm in America have a good strategic plan. Many don’t, but I think you need at least a basic strategy that’s going to say what type of work you want to attract to the firm and how you’re going to attract it. You need to have a direction in which to run. And the focus can shift over time. I would also make sure that, if you are a marketer, you’re involved in the Legal Marketing Association. I think that is a great forum in which to learn and to get support. And I would also follow people on social media whom you respect who are writing and speaking about legal marketing. LD: You, of course, have a robust presence on social media. Do you have any tips about how other marketing professionals can do a better job on social media for themselves or their firm? DF: Social media can be a great conduit for staying apprised of the news and trends impacting a firm and its clients. Marketers should be using it as a listening tool. For themselves, they should look at social media as another way of having a conversation and another way to connect with people. And they should understand the differences between the usage of LinkedIn, Twitter and Facebook, both for themselves and for their firms. If they’re trying to build a reputation, I would approach it the way I would any other kind of marketing. They should have a strategy. They should have the two or three things they really want to be known for, and they should be out there talking about those things but be authentic about how they do it. For the firm, I think it’s very important to look at social media in terms of what audiences they’re trying to reach. At this point, a law firm trying to attract law school students should be on Twitter and the attorneys should all have robust LinkedIn profiles. Most of the lawyers that I work with today, I would imagine, have solid LinkedIn profiles. If they don’t, I would tell them to get with it right away. LD: When we talk about global legal marketing, is there a difference in the path you take if you’re a CMO for a large Chicago firm with, say, seven U.S. offices and one abroad and if you’re in charge of marketing for a very global law firm with offices on most continents? DF: In any case, strategy is the most important thing. And brand. I do think it becomes more complicated the more lawyers and offices that you have, and especially when you factor in different cultures. Lateral integration is key for those larger firms and supporting new lawyers with the appropriate client introductions, marketing support and general collaboration will make a big difference on if they remain at the firm or leave. LD: So that does change things? DF: It does, because you need to think locally as well as act globally. You really need to be able to focus on what that office needs and what practices need in different areas. It’s not the same thing for everyone. Working at a law firm in marketing, it’s almost like working at Procter & Gamble with different product lines. You have to have the discipline to think of these different practices along a vertical continuum where you think about the strategy for each one and how you’re going to get the business for each one. Tie that in under an umbrella of brand. LD: That’s interesting. I imagine marketing professionals, to some degree, still find it a challenge to convince lawyers that someone from a different background has something to teach them. Is that as true now as it was 20 years ago? The same thing is true as a CMO. You have to be smart enough to know what’s going on in your firm, what’s going on in the outside world, what’s going on with your clients, and you have to know who the experts are to call because these are sophisticated issues that you’re dealing with, and you’re not going to have the answer to everything. LD: How have you seen the expertise of CMOs grow and change over the years? DF: The CMOs today are much more sophisticated than they were 20 years ago because the business has changed so much. And CMOs have had to change along with that. Lawyers in law firms do themselves a disservice sometimes when they don’t work closely with their marketing people. Not only is it bad economic sense, but it’s bad for morale when they don’t work with them. With marketing people, the more they know, the better job they will do. And they don’t want to be the person who takes the order on the phone of which practice description is being ordered. They want to be in the room with you talking about what the pitch is going to be like, who you’re competing against and what the opportunities are. LD: If you’re a law firm managing partner looking to hire a CMO to up the game, what are the three most important things that you should look for? And if you are a marketing professional looking to go into a law firm, and you’re looking at an array of law firms, what are the three most telling things that help you distinguish between a firm that will welcome your help once you’re on board and one that won’t? DF: When you’re hiring, I think you need to know what it is exactly you expect from that person, because sometimes the candidates think they’re being hired for a job that is going to deal with strategy, but the firm doesn’t really need someone to do strategy. They need someone to fix the nuts and bolts of their marketing department and hire people and get it running. Second of all, but just as important, is to know your culture and hire someone who’s a good cultural fit. Is your firm more corporate, where people do their jobs without a lot of communication, or does it work like a family business? And I think, lastly, is likability. You really want to like someone you hire. That chemistry element is key. LD: That’s really important. You can have the best candidate in the world who is perfect on paper but has no fit whatsoever with your organization. DF: Yes, it’s the expertise, the culture, and personal chemistry, because you’re going to be spending long hours with this person. And you’re going to be dealing with this person through crises. And so you have to trust them, and you have to feel that they’re someone who has the firm’s best interests at heart. And chemistry comes into play with that. And without those three things, that’s tough. And as far as a candidate looking at a law firm, I think they would also look for making sure that it’s a good match culturally. The fit is so important. And make sure that it’s the right job for you. Not all CMO jobs are the same. Not all marketing jobs are the same. What’s considered an “analyst” at one firm might not be an “analyst” at another. And a CMO at one firm might do totally different things than a CMO at the next. And then there’s the responsibility level. Are you going to be part of the management committee or are you going to report to an executive director? Are you going to have a “seat at the table” or are things going to be delegated to you through intermediaries where you’re not going to work with firm leadership? That might be OK for a certain type of firm, but you should have realistic expectations about how much exposure, how much credibility, and how much responsibility you’re going to have in the job.